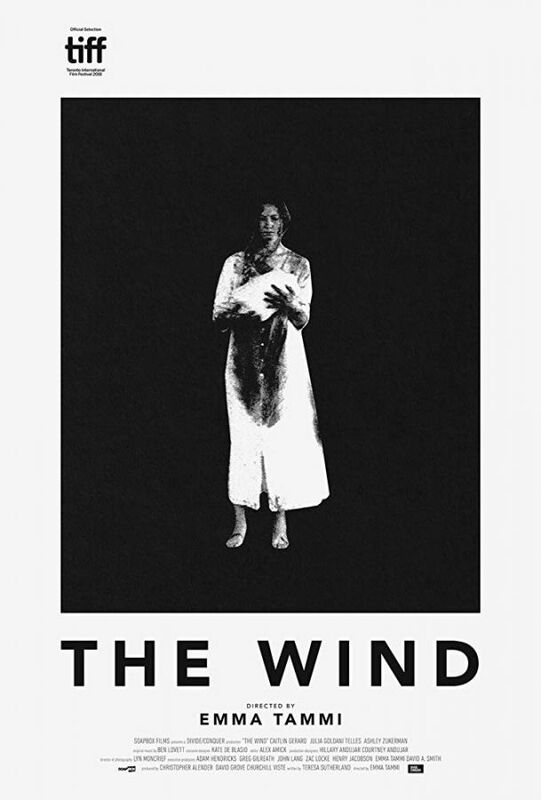 In the movie The Wind, an unseen evil haunts the homestead in this chilling, folkloric tale of madness, paranoia, and otherworldly terror. Lizzy (Caitlin Gerard) is a tough, resourceful frontierswoman settling a remote stretch of land on the 19th-century American frontier. Isolated from civilization in a desolate wilderness where the wind never stops howling, she begins to sense a sinister presence that seems to be borne of the land itself, an overwhelming dread that her husband (Ashley Zukerman) dismisses as superstition. When a newlywed couple arrives on a nearby homestead, their presence amplifies Lizzy’s fears, setting into motion a shocking chain of events. Masterfully blending haunting visuals with pulse-pounding sound design, director Emma Tammi evokes a godforsaken world in which the forces of nature come alive with quivering menace.